As its population increases, LinkedIn will, not far from now, become the best place to source talent from. Apart from some of the most basic things, which you have to do with your profile, like making it 100% complete, writing a keyword rich work experience and having some good meaningful recommendations (at least 5-7), these are some of the more involving but far more paying ways of making LinkedIn work for you. LinkedIn search works like Google’s search. When you search for something, the algorithm gives more importance to the Title of the page than what is in it. It is also the title that shows up in search results. Project Manager at ABC Inc.
Rather than writing about your current position, it is always healthier to write about your skills. This helps, because at times you might be the Senior Manager of a small company but willing to settle as a Manager at a large brand, so you might want to skip adding the designation altogether. Write names which are identifiable by LinkedIn. You might be working in the Indian arm of XYZ Corp. called XYZ India Ltd., but if LinkedIn does not identify (or hyperlink) the company name automatically, use XYZ Corp. instead. If your employers are not very well known, write a short description to show your company in good light. Use LinkedIn Profile Stats to see who has viewed your profile, and follow up with them for new opportunities where you might help. Although the full feature is only available to Premium members, free members can view the last 5 professionals who visited your profile. Resume Builder is a new tool and many are not aware of it. The tool enables LinkedIn users to draft resumes by simply choosing a template and editing the content it automatically fetches from your profile. You can also choose which sections to include and which ones to exclude, before exporting it as a PDF. Mostly people just join groups and do not participate. While it does no harm, you probably miss out on the good things participation brings with it. Sharing news about industries or relevant companies increases your visibility among connections in the group. Recruiters often explore groups for recruits, and if you are among the experts answering questions or engaging in discussions, you stand to benefit. Although looking for new opportunities should not concern any employer, if it still worries you that your activity updates might be visible to your current team, you can always change your settings to reflect who all can see what. Uploading a photo will make sure your profile stays 100% and it will help you appear in the top results. Again, if you share your contact information (an email id or a telephone no), employers will find it easier to contact you. 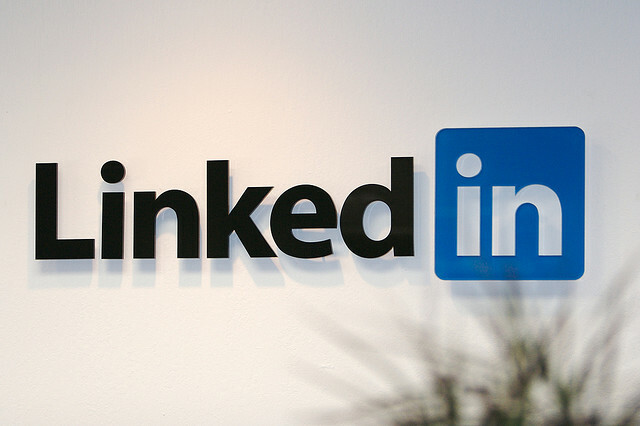 LinkedIn recently (July 25) announced a new plugin that enables job seekers to easily submit their LinkedIn profile for job opportunities on an employer’s website. Applicants can edit their profile before submitting and can also manage any job submissions using the Apply with LinkedIn button when they go to their LinkedIn.com “Saved Jobs” tab. Thousands of companies already have the ‘Apply with LinkedIn’ plugin accessible on their websites. Some of these include LinkedIn, Netflix, LivingSocial, Photobucket, Concur subsidiary TripIt, Foodspotting, GazeHawk, Munch On Me, and Formative Labs. Apart from these, there are also many applications you can add to make your profile look rich on activity and engagement.